112s, 1 col [...?] - get some books in background. [stamp] Photo by Leonard Bacon, staff photographer, The Oregonian, Portland, Oregon. Description Pinholes in corners. 706 4th Street. 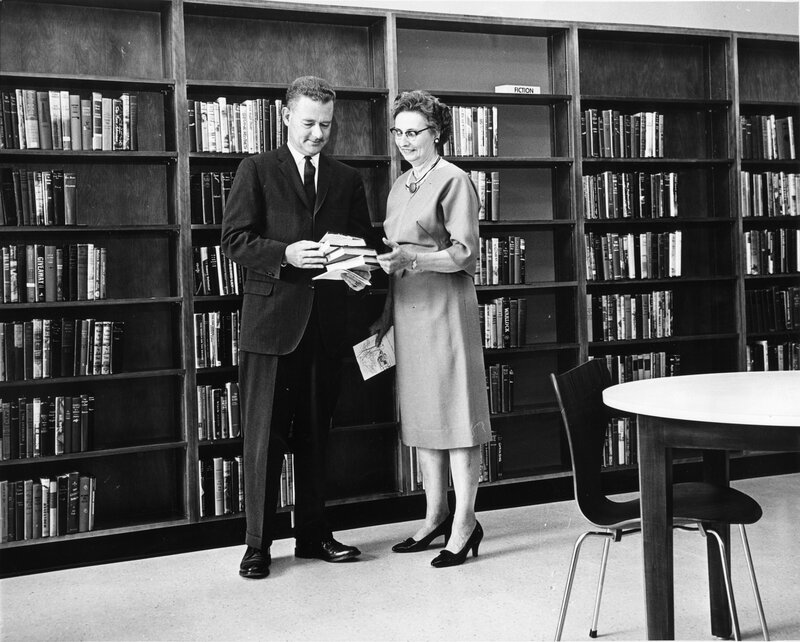 Mary Strachan, librarian and Lee Stidd, Jr., mayor. Transcription 112s, 1 col [...?] - get some books in background. [stamp] Photo by Leonard Bacon, staff photographer, The Oregonian, Portland, Oregon.